THE FIFA 2010 SPORTSTAKE GAME IS A NATIONAL LOTTERY GAME AUTHORISED UNDER THE LOTTERIES ACT 1997 IT IS OPERATED BY UTHINGO MANEGEMENT (PTY)LTD. 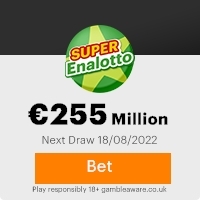 UNDER LICENCE FROM THE NATIONAL LOTTERY BOARD AND ACCORDING TO THE CURRENT SPORTSTAKE GAME RULES.WHICH CAN BE VIEWED AT ANY NATIONAL LOTTERY AUTHORISED OUTLET. We are pleased to inform you of the result of the just concluded draws of the month which was held on the 15st of april 2007 from the South African gaming commission Lottery Program. THE FIFA WORLD CUP 2010 SPORTSTAKES draws was conducted from an exclusive list of 25,000,000 e-mail addresses of individual and corporate bodies picked by an advanced automated random computer ballot search from the internet as part of our international promotions program which we conduct every year since 2005.No tickets were sold. After this automated computer ballot, your e-mail address attached to serial number 25-6565 drew the lucky numbers 6-13-18-24-33-39 which consequently emerged you as one of first five (5)International lucky winners in this category. You have therefore been approved for a lump sum payout of $850,000,00 (eight hundred and fifty thousand DOlars) in cash credited to file �L/05-AT/2673. This is from a total cash prize of $4.250 Million shared amongst the first five (5) lucky winners in this category. Next year Lottery Program Jackpot will be the largest ever for South African gaming commission. The estimated $30 million jackpot would be the sixth-biggest in South African history. The biggest was the $10 million jackpot that went to two winners in a February 2004 drawing of The Big Game Mega Millions' predecessor. Your fund is now deposited in a local paying bank with a hardcover insurance. Due to the mix up of some numbers and names, we advice that you keep this award from public notice until your claim has been processed and your money remitted to your nominated bank account as this is part of our security protocol to avoid double claiming or unwarranted taking advantage of this program by the general public. In view of this, your $850.000.00 (eight hundred and fifty thousand Dollars) would be released to you by our local paying bank in Cape Town. Note that all prize funds must be claimed not later than One month. After this date all funds will be returned to the LOTTERY TREASURY as unclaimed. In order to avoid unnecessary delays and complications, please endeavor to quote your Reference Number:OL/05-AT/2673 and Batch numbers:OSL/05/6565 in every correspondence with your agent. Furthermore, should there be any change in your address, do inform your claims agent as soon as possible. This Email with the Subject "CONTACT AND VERIFY" was received in one of Scamdex's honeypot email accounts on Mon, 23 Apr 2007 01:47:52 -0700 and has been classified as a Generic Scam Email. The sender shows as "shelly krane" <shellykra2@gmail.com>, although that address was probably spoofed. We recommend that you do not attempt to contact any persons or organizations referenced in this email, as you may expose yourself to scammers and, at the very least, you will be added to their email address lists for spam purposes.